It takes more than just being a great trial lawyer to win verdicts consistently, with favorable results. It takes a good solid team you can depend on to deliver quality, performance, and results for your cases. That is why MotionLit is the top choice for lawyers, experts, and law firms to partner with on practically every case. Our firm is comprised of a group of seasoned, talented filmmakers, 3d animators, designers and trial technicians who've been in the industry for over 20 years. Our persuasive work is used by plaintiffs and defense attorneys in many areas of law including personal injury, wrongful death, product liability, insurance bad faith and business litigation cases. When you need visual solutions for your case, our team delivers compelling narrative videos, high production value combined with technical expertise to bring you the results you demand. 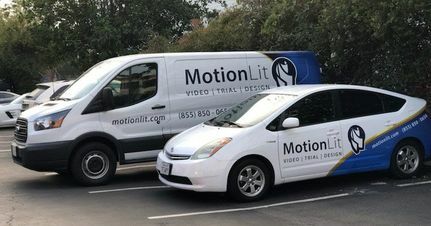 Documentary filmmakers Vahe Garabedian and Vache Garabedian are the founding partners at MotionLit Services, Inc. They have over 15 years of experience providing video production and trial presentations services for litigators around the country. From their early years, Vahe and Vache developed innovative tools and ways in which trial attorneys can present their cases, pioneering products such as Settlement Demand Videos, which is widely used today for Settlement demand presentations. 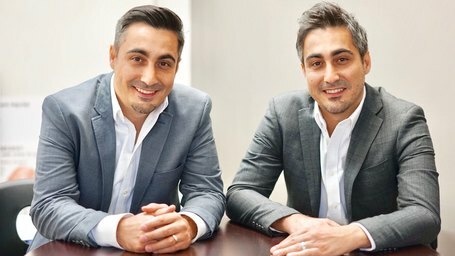 Additionally in 2014 Vahe and Vache developed the first admitted electronic Jury tablet system used presently in California courts to display exhibits for jurors. The twin filmmakers are also accredited for producing a national broadcast hit TV movie for HBO and Cinemax networks. Today the Garabedian brothers apply their film and branding experience, to help attorneys reach record-breaking verdicts and settlements in catastrophic injury, products liability, and medical malpractice cases.